A peaceful greenery, the warmest place for a cup of tea, a walk you will never forget. A 10 minute walk from the busiest station in the world lies a garden of serene and solitude. Shinjuku Gyoen National Park — considered one of the most important gardens during the Meiji Era, is home to three major gardens; the English Landscape, French Formal, and Japanese Traditional together with 4 fascinating ponds. They say that those who live in the city are more prone to experiencing depression and anxiety than those who live in the countryside. A lot of us have always wanted to live in the metro where everything screams out modernity. We fail to see that spending time at a natural space can brighten up our mood even more than to just completely live under the lights of city malls and shopping districts. You see, our bodies have always been connected with nature no matter how old we get that's why it would be a good vitamin to visit parks like this more often. 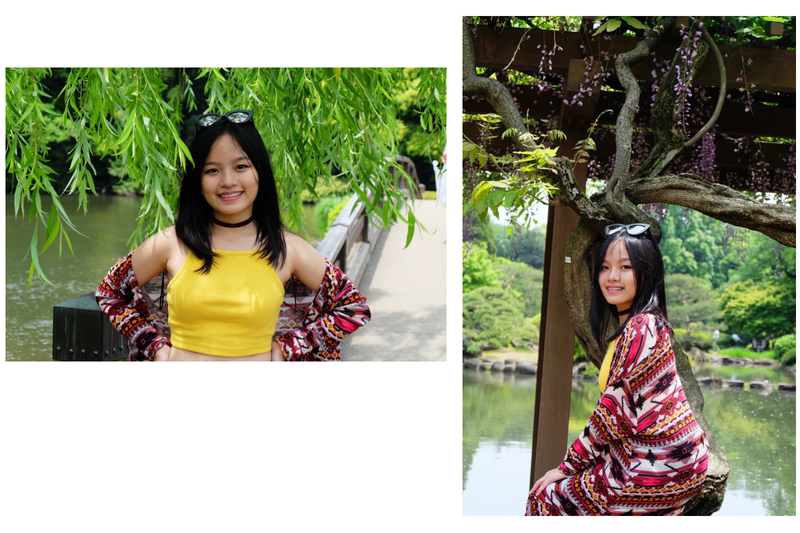 I've always wanted to visit Shinjuku Gyoen Park during spring and autumn yet I managed to go during a spring-to-summer season. Though I have failed to see the cherry blossoms or the colorful autumn leaves, I still feel the tingling sensation of walking in a secret paradise that leads to endless greens. 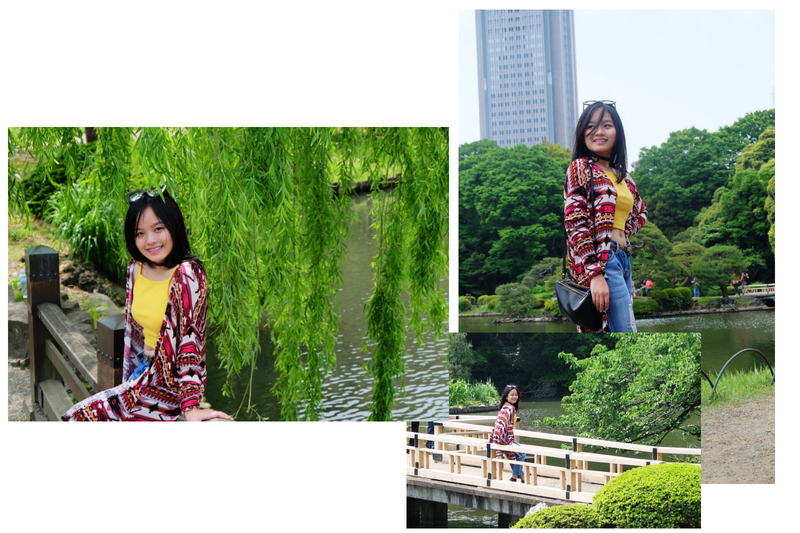 Now I can fully say that Shinjuku Gyoen is a beauty whatever season it maybe, from wanting to see various types of cherry blossoms during spring, play with autumn leaves or simply enjoy the summer mists. Truly, the park breathes life to different blossoming plants each season. It feels like I'm entering a rural space in the heart of an urban place. While inside, you might think that it is not encased in a modern and bustling district just because of the quiet ambience it gives. 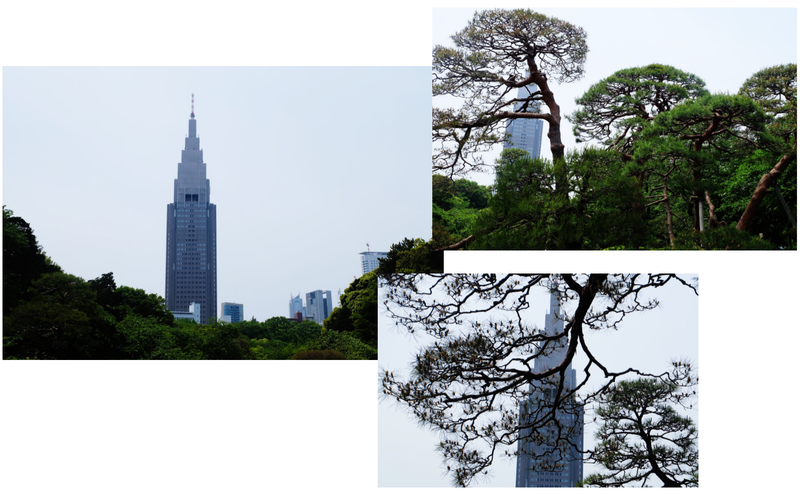 Covered with fine landscapes and trees are skyscrapers that are mere reflection of how beautiful and diverse Japanese culture is, is what makes the whole visit worthwhile. The wide fields are full of people either reading a book, enjoying the cool breeze, painting a picturesque scenery, or having a picnic. Everybody in the park seems to have happiness flowing in them. Even though I live in a tropical country which has agriculture as one of its top industry, I have never seen such impressive mixture of different shades of green. No matter where I look or go, I feel like this harmonious place eats up all the bad spirits away. Sadly, the entrance here is not free though it is at a very reasonable price; 200 japanese yen for adults and 50 japanese yen for kids. The park is closed during Mondays and is open from 9:00 am to 4:00 pm. The fastest way to get here is to ride a subway/train/JR line. Whatever it is that you prefer, I'm sure it'll be easy since Shinjuku station is one of the major stations that holds a lot of subway lines. 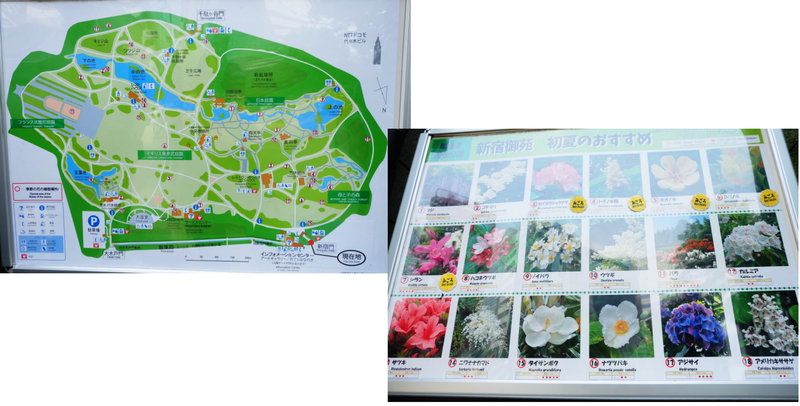 The park has three gates so it depends what subway exit gate you go out to. At first, I didn't want to head here just because I plan to wear a different outfit for a photo-op yet I realized that it's a now or never case. So, I went here anyway. The park resembles a little bit of the Central Park in Manhattan, as it feels detached to a city yet you can still see tall buildings from some angles. It was huge that we failed to explore the whole area. Nevertheless, exploring almost the half of it still brings contentment to me. If I could go back here, I promise to go on a picnic date with the people I love. And!! I will wear a dress! Disclaimer: All pictures are mine. Please don't grab.